Here's a couple of shots from late yesterday afternoon at the Matlacha Pass drawbridge. We were heading out to the Indian Fields to look for tailing redfish when a big school of jacks blew up right in front of us. My buddy Joe Mahler jumped right up on the bow and landed this golden beauty with his 8-weight and a popper. It always amazes me how hard a two pound fish like this can fight on a light fly rod. I could catch these guys all day long. It seems like everyone in SW FL has been screaming about all of the runoff coming from Lake Okeechobee over the past few weeks. Matlacha Pass is basically a freshwater extension of the Caloosahatchee River right now and the water doesn't even taste salty until you get up into Charlotte Harbor. Fortunately the fish don't seem all that bothered by it. The reds are still tailing on the flats off Little Pine Island at low tide and UK angler Neil Cobley caught this 30" beauty yesterday on a Gulp jerk shad. He also jumped an excellent 20 pound tarpon in the same water on the same bait. The local press loves to tell the typical sky-is-falling story about the lake's runoff but I'm convinced that the fish can deal with it. Don't panic, everything you want to catch is still out there. Yes, there is a place where the tarpon are always hungry. Unfortunately, you can't fish there. I never drive down to the Keys without stopping here for a few photos. This afternoon my dad and I tried to fish the bottom of the tide off Matlacha, but this was waiting for us out there. We managed to survive the alien mothership disguised as an approaching thunderstorm but once again caught nothing. I really hate it when an alien invasion screws up my fishing. Pine Island Fishing Report: Tailing Redfish Everywhere, None On My Boat. Over the last two days and through the rest of the weekend we've got some perfect late afternoon tides in both Pine Island Sound and Matlacha Pass. The reds love these conditions and have been rooting up the bottom along with the mullet schools, especially just before sunset. I've probably seen more than 500 tails sticking up in the air over the last 48 hours. It's been absolutely amazing and I'm ready to smash my head into a wall because I can't make them eat anything we've cast to them. I can't come up with any explanations for my bad luck but the sunsets have make coming home empty a bit more tolerable. Once again my buddy Capt. 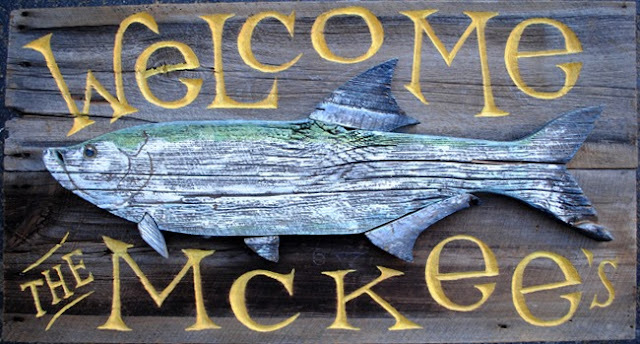 Mike Bartlett had a couple of open days on his schedule during some good tides. Any time I get that call I'm in the car and making the 300 mile drive down to Key West because I know that I'm going to catch some permit with him. This trip was no different even though we had constant winds gusting over 20 knots. If you want to land a permit on the flats give Mike a call at 305-797-2452. Great low tides the other night produced these shots. 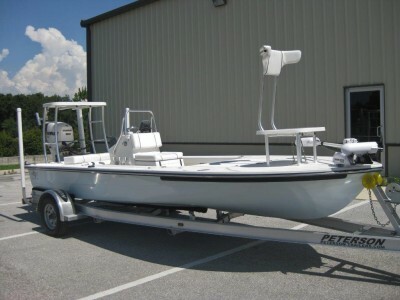 This is Beavertail's most recent demo skiff that was used for several boat shows last season. It has almost every option available and the Etec 90 has been run for less than 20 hours. This BT3 would retail for over $42k brand new but you can get it with a full warranty for $38,500. Click here to see some more photos and get a full list of its equipment. I was searching for some old Keys pictures on Google when I came across this unbelievable gem. It was taken off Key West sometime in 1935 onboard Hemingway's yacht the Pilar. The fishing was obviously slow that morning so it looks as if Papa settled into his second favorite pastime, drinking heavily. 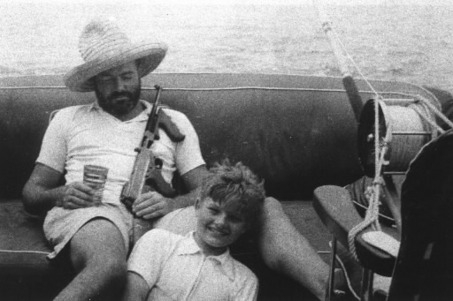 Even though I lived and worked as a fishing guide in Key West for over a decade, I never really got into Hemingway's writing. Seeing pictures like this might make me take another look at him.